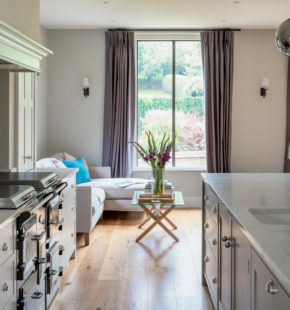 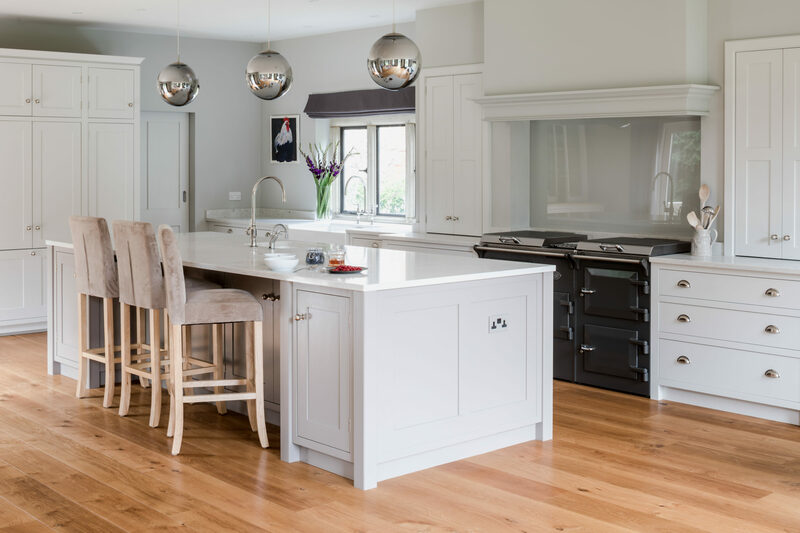 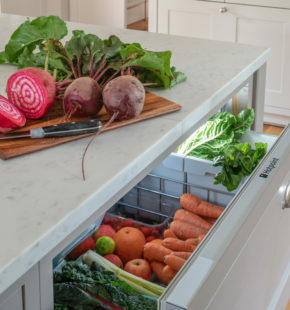 This kitchen was all about the clients morning obsession, namely her juicing. 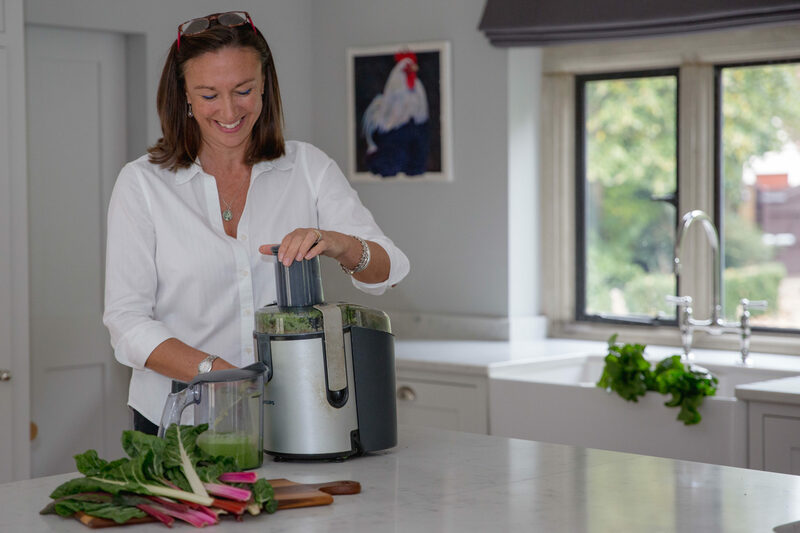 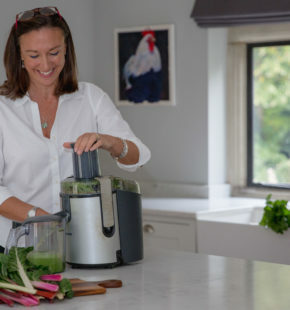 In her old kitchen the incongruous juicer had to be lifted up out of a cupboard and onto the work surface before rummaging around in a small under counter fridge for her fruit and veggies. 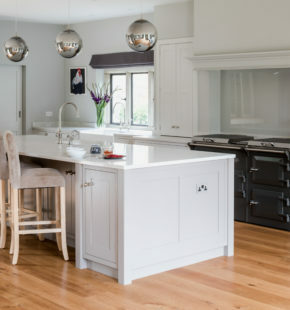 Her new kitchen was in a vast new extension that had been added onto the cottage a few years before. 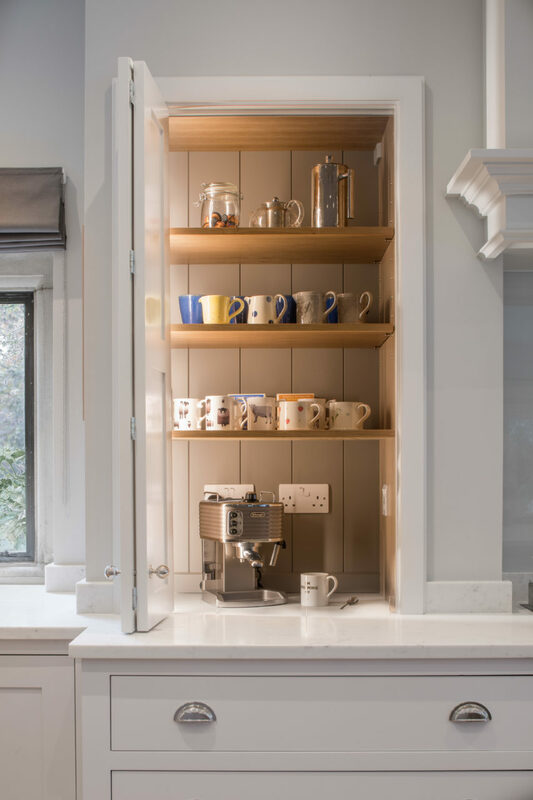 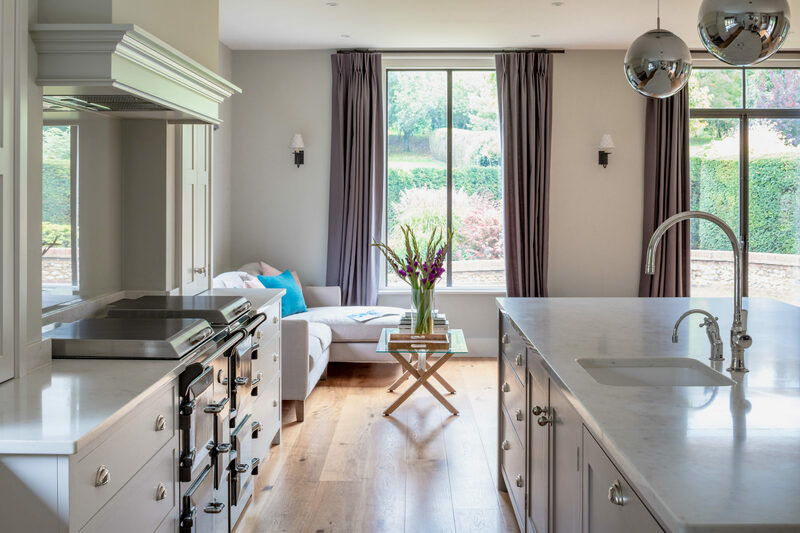 To break the big space up Nick created a false chimney breast for the Everhot to sit in and either side Bowman cabinets which were set into the false wall and added structure to the room and of course created the storage space that her juicer required. 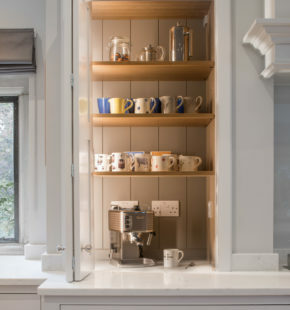 This Bowman sits directly on the work surface with fold back doors so it can be slid in and out, there is also a plug within the cabinet so no need for dangling wires. 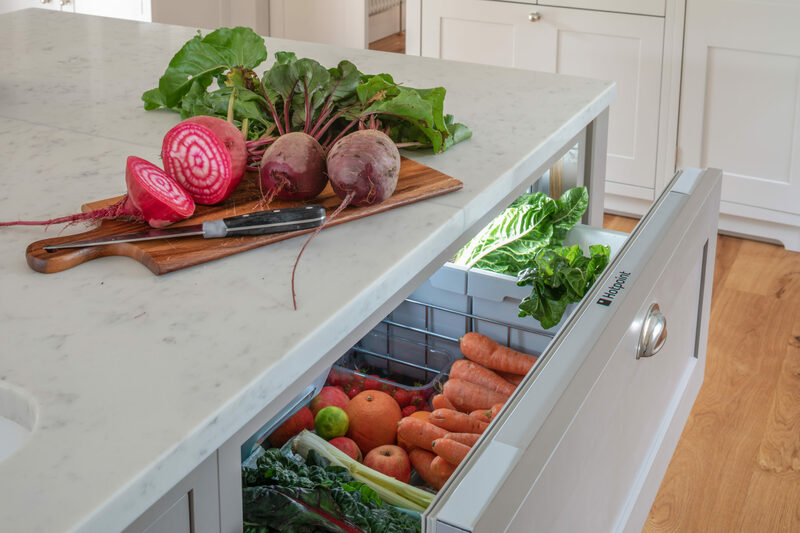 Directly opposite on the island is the fridge drawer where the client keeps all her lovely fresh veggies dug straight out of the garden, so it takes no time at all to give them a quick rinse in the sink behind and whizz them straight through the juicer.